This is a fun recipe that my daughter picked out for us to do in celebration of spring and Easter coming up. 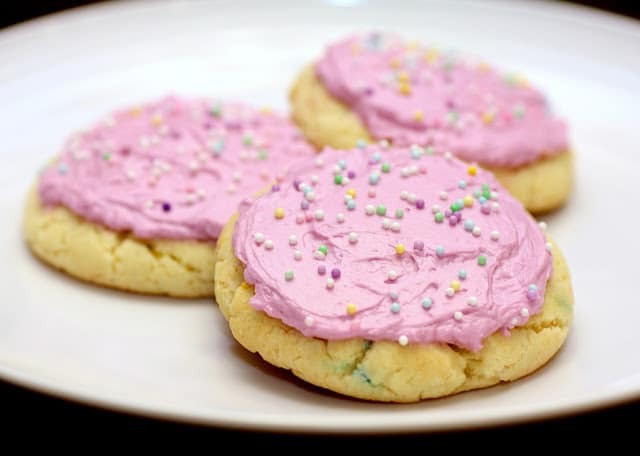 Usually I don’t really like cookies that are made from a cake mix because they are almost too light and fluffy, but these turned out really good. 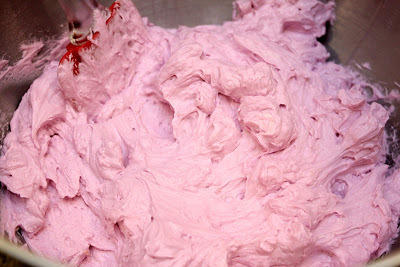 The recipe calls for Pillsbury Pink Frosting, but I made my own to add more of a homemade taste, but you could do either way. I would have liked just a little extra lemon juice in the frosting. Like instead of just 1 1/2 tablespoons, I would probably do 2 tablespoons, but either way it was still really good. Hope you enjoy!! In a large bowl, combine eggs and oil. Add cake mix and stir by hand until thoroughly moistened. Shape dough into 1 inch balls. Place 2 inches apart onto ungreased cookie sheets and press cookies down to flatten slightly. Bake at 375 degrees for 6 to 8 minutes or until edges are lightly golden brown. Cool 1 minute; remove from cookies sheets. Let cookies completely cool before decorating. 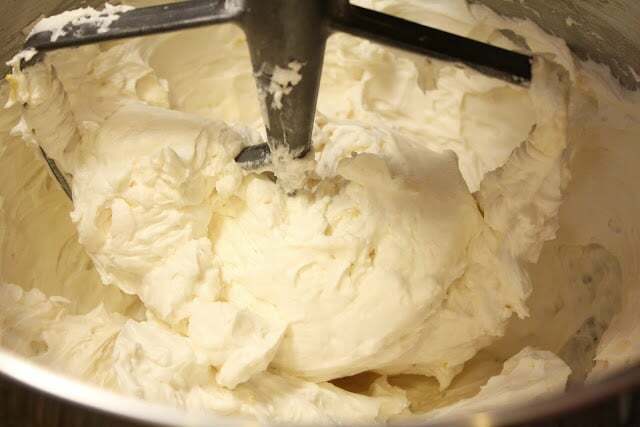 In a small bowl, whisk together the milk, vanilla, lemon juice, and zest. In a standing mixer fitted with the paddle attachment, or with a hand-held electric mixer and a bowl, combine the butter and sugar. Mix on low until incorporated. Raise the speed to high and mix until light and fluffy, about 10 minutes. (Occasionally turn the mixer off, and scrape the sides of the bowl down with a rubber spatula.) Reduce the speed of the mixer to low. Add the milk mixture in 3 batches, waiting for each batch to be fully incorporated before adding the next (scrape the bowl down occasionally). Raise the speed to high and mix briefly until fluffy. Add food coloring to color if desired. May be stored, covered, in the refrigerator for 3 days.